This is the last coaster set I'll do for now. I guess if anyone else wants one, I'll just get some more cotton and make more! But next time I buy cotton, I'll get some red, pink and purple so I can get different colour combinations. Below is a photo of the colours I used for this gift giving season. It's fun to think of a name, a scene or season to match the colours and vice versa. 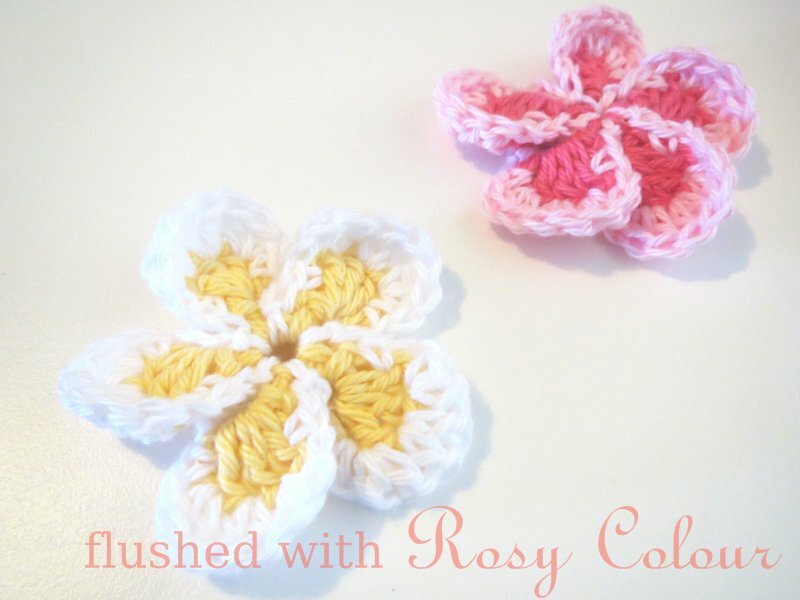 I have done this last set because these three colours to me say 'frangipani' and I had enough of these colours left over. When I lived in Darwin there were a lot of frangipani trees about. They would loose all their leaves in the dry season, which is the north Australian equivalent of winter, but it really doesn't get very cold at all. Then as the wet season approaches, the trees would become full of flowers and the smell was gorgeous. Most of them were the yellow and white variety, some had a light blush of pink. And very rarely, there was a deep red variety which didn't seem to grow as thick but had the rich fragrance of a rose and was very special. The blue in this set represents the clear blue skies of the Darwin dry season. I do not recommended this coaster set for red wine drinkers, as it's mostly white and yellow. If you spill red wine on these, soak in cool water immediately. Here are some more tips on how to remove red wine stains from cotton. The frangipani set is being sent to Michelle.